South America is not at the center of global affairs, but few countries in the region may go as unnoticed as Paraguay. At first glance, Paraguay appears an unlikely prospect to stand out as an emerging-market democracy. In the shadow of the large and populous economies of Brazil and Argentina, the small landlocked country was long one of the poorest and most undemocratic. Yet, gradually but surely, Paraguay has accomplished notable political and economic reforms, a transformation that is earning a second look from its allies and potential investors. Leaving behind the decades of turbulent political instability marked by authoritarianism and military dictatorships, Paraguay has been transitioning into a functioning democracy. Since the end of the 35-year military dictatorship of Alfredo Stroessner in 1989, Paraguay has held relatively free and regular presidential elections. A new generation of Paraguayans, empowered within a civil society that has shown “unprecedented elements of plurality and vibrancy,” has called for better governance and injected an elevated momentum for political reform. Despite some ups and downs, the latest presidential election took place in April and resulted in the democratic transition of power to a new, single five-year term presidency. New President Mario Abdo Benitez, who had run his presidential campaign on a platform of strengthening democratic institutions and continued economic reform, was sworn in on Aug. 16. Paraguay has recorded notable progress in achieving reforms and a strong macroeconomic environment, particularly under former President Horacio Cartes, whose economic team pushed for the modernization of the economy and greater transparency of the system. He focused on tighter fiscal responsibility and a campaign against public-sector corruption and inefficiency. Over the past decade, the Paraguayan economy has grown at an average of 5 percent annually, a higher rate than those of its neighbors. 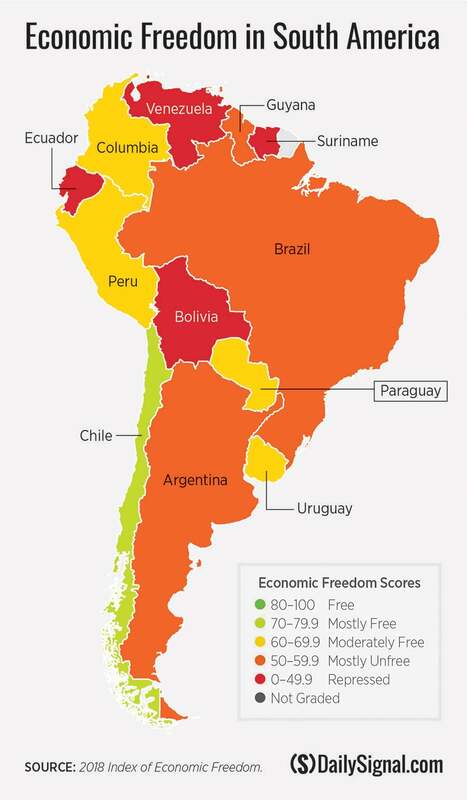 According to The Heritage Foundation’s Index of Economic Freedom, Paraguay is a “moderately free” economy and ranks far ahead of neighboring Argentina, Bolivia, and Brazil. With the International Monetary Fund noting Paraguay’s “enviable economic stability,” international rating agencies also have upgraded the country’s sovereign risk ratings. Working with the United States, Paraguay has taken steps as a partner in hemispheric initiatives to improve counternarcotics cooperation and to combat other illicit cross-border activities. It is also notable that Paraguay has long maintained constructive relationships with Israel and Taiwan, two important allies of the United States. Paraguay is one of just 17 countries in the world—the only one in South America—to recognize Taiwan. Following in the footsteps of the United States, Paraguay has moved its new embassy in Israel to Jerusalem. All in all, Paraguay has maintained a friendly relationship with the U.S. as an ally and a partner, but more can be done. In particular, it’s time to begin transitioning the U.S.-Paraguay relationship from one based on aid and various types of technical assistance to a partnership based much more on private-sector trade and investment. The U.S. and Paraguay signed a trade and investment framework agreement in January 2017. That’s a good start, but more can be accomplished. 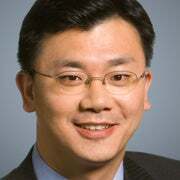 A bilateral investment treaty might be the next logical step, with the long-term goal of negotiating a free trade agreement between the two countries.